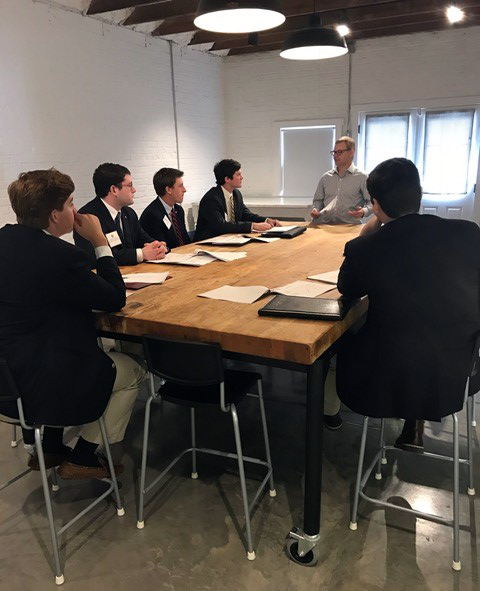 Eight lucky students visited Tone Capital, a Richmond-based investment firm, at the beginning of the month. Part of Career Education's new initiative called "Road Trip to the Real World," the trip gave the students an inside look at a regular day of life after college. In the program's first year, the "Road Trips" have already taken students to Dominion and the Federal Reserve, in addition to the Tone Capital trip. Each company has at least one Hampden-Sydney alumnus on hand to talk to the students. Alumni have their own reasons for wanting to participate. According to Jennifer Allen, Senior Secretary and Recruiting Coordinator in the Career Education Office, many alumni enjoy the mentoring aspect of the trips. "We have received a lot of positive feedback from alumni saying they appreciate us bringing the students." Hunter Irby '97 was motivated to host students because of the help he received years ago. 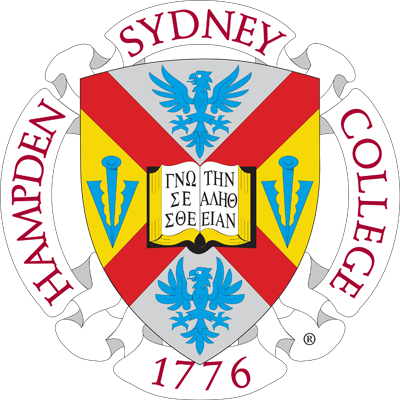 "Hampden-Sydney's network was great for me when I graduated, and I want to give back in any way that I can." As a Chief Investment Officer for Tone, the investment firm Irby started with two others, he invited the students to his office to talk to them about what he does on a daily basis and a little about his background. Irby has twenty years of experience in the financial services industry in equity research, sales, and trading. "I was extremely impressed with the students. They came prepared and were very respectful," he said. The value in the experience is apparent, which explains the need for a wait list on the last trip. In order to fulfill demands, the Career Education Office is planning the next "Road Trip" to Ryan Homes.